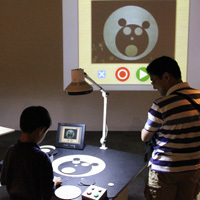 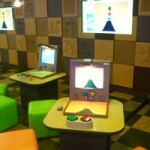 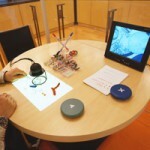 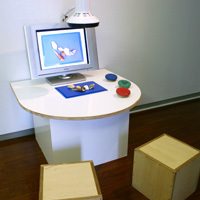 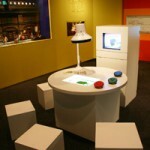 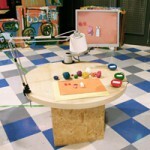 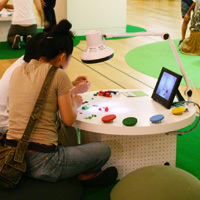 This device allows you to make stop motion animations easily on top of its round table. 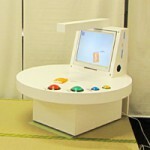 It only takes 4 buttons to operate. 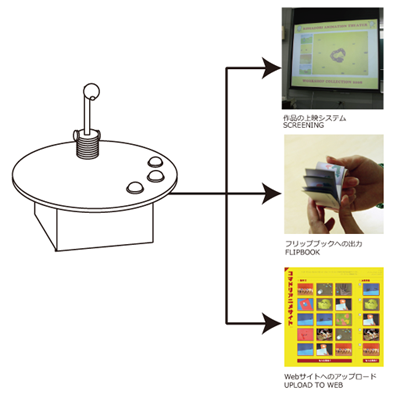 All movies saved on a server can be shown on a big screen automatically, printed on flip book formatted sheet, and uploaded on web site.